penang – rule by PR or by the police? – welcome! 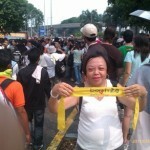 You are here: Home › election › penang – rule by PR or by the police? the police stop a state government organised activity! an in an enclosed premise too! (not out on the street). for context, read here at the malaysian insider and at malaysiakini (it’s a ‘shared’ site, so i hope all of you will be able to read it read it below) . 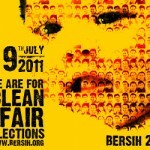 it’s about the bersih rally. seems that the police had been getting very paronoid, arresting people who support bersih and raiding NGO’s premise and arresting those who possessed any bersih materials. what lah? no other work to do eh! as suaram penang pointed out to them – arrest criminals, not activists!! ok the penang case. first of all, it is a state-organised event. secondly, it is not on the streets, and thirdly… like someone said… how can the police said that the bersih rally is illegal when it has not even been carried out yet? finally, the police acted with no respect to the CM. the CM was not consulted at all! 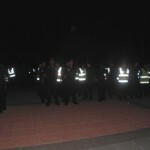 this clearly shows the police is working for umno! (ruling federal government). i remember at one of the anti ISA protest at the speakers square, esplanade penang, the police said it out – that the speakers square is not to be used for speaking up against the government. so this shows the police is on the government (federal) side. huh? speakers square not for speaking up against government? then whatever for that it is call speakers square? it is call speakers square means one can speak up on anything!! so what now? all state government activities/events now must get the permission from the police? is penang becoming a police state? so mad lah! Penang compiles with court order, ceramah put off. The Penang government postponed two of its official functions today, after receiving two court injunctions from the police. Lim said the new dates were approved by the police when he met with Penang police chief Ayub Yaakob last night. He said he had also expressed his dissatisfaction with Ayub for obtaining the injunctions without consulting with him first, since he was the chief minister of the state. “I am not happy that the police had applied for the court order without even talking to me, as I am the rightful CM of Penang, voted in by the people,” he told reporters at Komtar today. “We have always carried out state government events smoothly, without any problem, as we organise these events within the state government premises,” he added. “Therefore, holding an official function tonight should not have been an issue,” he added. Lim said Pakatan Rakyat was the rightful ruler of the state since March 8, 2008, and expressed hope that the principles of democracy and rule of law would be respected. He said the state has been advised by lawyer Gobind Singh Deo that the injunction could not be reviewed by the High Court, but the decision could be appealed through the normal process of law. “But this will take a long time. I hope both the state and police can maintain a mature and good relationship to ensure public peace and safety,” he said. Lim received the two court injunctions, issued by magistrate’s courts in George Town and Bukit Mertajam, from George Town OCPD Gan Kong Meng. The ban comes ahead of the July 9 Bersih 2.0 rally in Kuala Lumpur, which police have warned the public not to participate in. The two simultaneous events in Penang were supposed to be carnival-like, with performances and political talks in the programmes. Speakers included Pakatan Rakyat heavyweights such as Lim himself, PAS deputy president Mohamad Sabu, PKR deputy president Azmin Ali, vice-president Nurul Izzah Anwar and Bersih 2.0 chief Ambiga Sreenevasan. One Response to "penang – rule by PR or by the police?" Pakatan is doing a good job in Penang but has very little help from the police force as apparently, the police is under federal gov. A few months ago, you wrote a blog about the dangers of illegal watersports operators in Batu Ferringhi. Since then, the State gov. has tried to implement rules such as putting up the swimming buoys to mark the swimming zone areas, jetski permits and regulations that operators need to adhere to..good move but doesn’t change anything if there is no enforcement. These operators have police immunity as some of these operators have ties with local triads and KL based datuks affliated with Umno. There is no help from the police to curb any sort of crime..and one wonders why Batu Ferringhi is a drug haven. It gets dirtier..so I’ll just leave it at that. So yes, Penang is turning out to be a a police state whether we like it or not.. 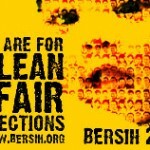 But we can change that…and that is what Bersih is all about. Let’s hope and pray it will be a success and no lives will be lost. BN/Umno seems to be coming down really hard this time but they can’t silence the rakyat anymore!